During the winter, you and your family rely on your heater for your warmth, comfort, and security. If your heater operates inefficiently or fails completely, you suffer an immense inconvenience. Our New Jersey heating contractors are here to provide for your routine heating maintenance and emergency repair needs. 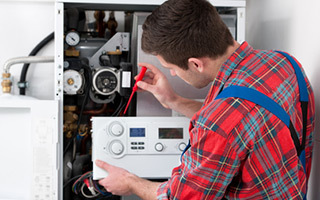 We work on all conventional systems including furnaces, boilers, and heat pumps. Keeping your air conditioning system in the best condition possible is vitally important. A faulty air conditioner will operate less efficiently, which will in turn cost you more money each month to keep your property comfortable. If your air conditioner fails when you need it, our emergency repair professionals are just one call away. When people think about their HVAC systems, they often only consider their heater and air conditioning systems. However, our professionals understand that your central air system plays an immense role in the quality of the air that you breathe on a daily basis. We can install air cleaners, air filters, ultraviolet light systems, and other devices directly into your HVAC system to improve your indoor air quality. At Steele Mechanical, LLC Air Conditioning and Heating, our New Jersey heating contractors and AC service experts are here to provide you with the highest quality home comfort solutions possible. With our assistance, your heater and air conditioner will always operate in the most efficient and effective fashion. We will work our hardest to achieve your complete and total satisfaction. In every service that we provide, the comfort and satisfaction of your family is our first priority. We consider ourselves to be home comfort doctors. We will prescribe the best possible treatments to resolve any and all problems with your HVAC system. From commercial HVAC installations to emergency AC service and heating repairs in New Jersey, we're the team you can depend on for prompt, reliable service. 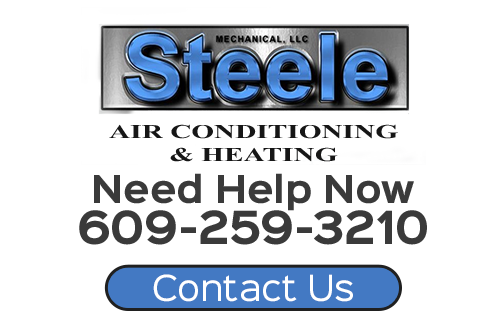 If you need to hire a professionally licensed heating and air conditioning company in New Jersey, call Steele Mechanical, LLC Air Conditioning and Heating today. Our courteous and polite staff would be happy to assist you in any way that we can. Our knowledgeable experts can answer all of your questions. We can schedule your appointment today. The most common cause of a complete AC break down is the fact that the owner failed to conduct routine and adequate maintenance on the unit. Through our air conditioning tune-up services, our New Jersey air conditioning company can improve the energy efficiency and reliability of your AC unit. You are guaranteed to be completely satisfied with the resulting enhanced comfort and routine monetary savings. 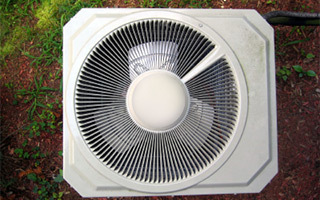 One of the most important portions of your HVAC system is its ductwork. Your air conditioner and heater cool and warm air in one location; then the air travels to your rooms via air ducts. If these ducts are leaky, damaged, clogged, or otherwise faulty, your entire HVAC system will under perform. Our New Jersey duct repair and sealing professionals can resolve any of these issues for you. At Steele Mechanical, LLC Air Conditioning and Heating, our New Jersey air conditioning and heating contractors have one simple goal in everything that we do. Our objective is to provide our customers with the highest quality services possible. We understand how important your heater and air conditioner is to you. Our team will make your comfort and satisfaction our first priority. We are honored by the fact that you are considering us for your home comfort needs. 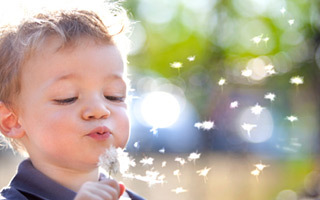 Our New Jersey heating and air conditioning company will bring the highest dedication to excellence to task for you. After our services, your heater and air conditioner will operate in the most efficient, effective, and reliable fashion possible. If you are looking for a New Jersey heating contractor or air conditioning company then please call 609-259-3210 or complete our online request form.